Call to see this UPDATED SINGLE STORY HOME with a third acre wooded lot in Southridge (JVS)! 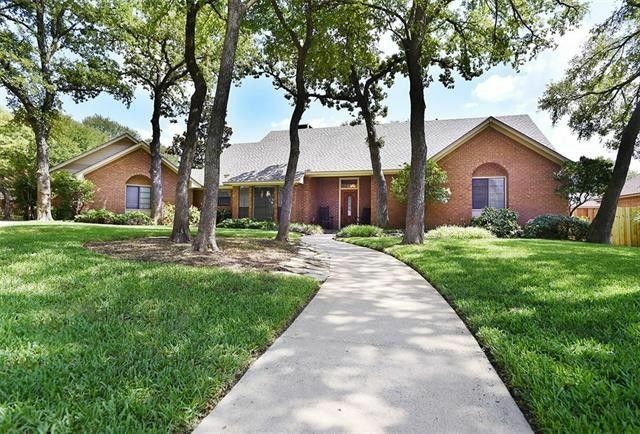 With stunning wood floors throughout most of the home complemented by travertine floors, granite countertops, stainless steel appliances, remodeled master bathroom, & stone fireplace, this custom built beauty could be your dream home! The 25X17 family room is open to the dining(also makes an ideal 12X12 study). The updated kitchen features a breakfast bar opening to the big breakfast room-sunroom living space with walls of windows for enjoying the private back yard.The 35 ft X 16.5 ft wood deck under a big cedar pergola provides great outdoor living space. Oversized side entry garage & lots of driveway parking! Directions: NOTE TO APPRAISERS: ADD 3% OF SALES PRICE TO SOLD PRICE SINCE BUYERS' ATTORNEY SUBTRACTED 3% FOR HIS COMMISSION OR FEE. THIS HOME WOULD HAVE SOLD FOR FULL PRICE OTHERWISE.&#xD;&#xA;&#xD;&#xA;MULTIPLE OFFERS--DEADLINE FOR BEST & FINAL OFFERS: 10:30 A.M. AUG. 3, 2017. SUBMIT OFFERS TO LA.